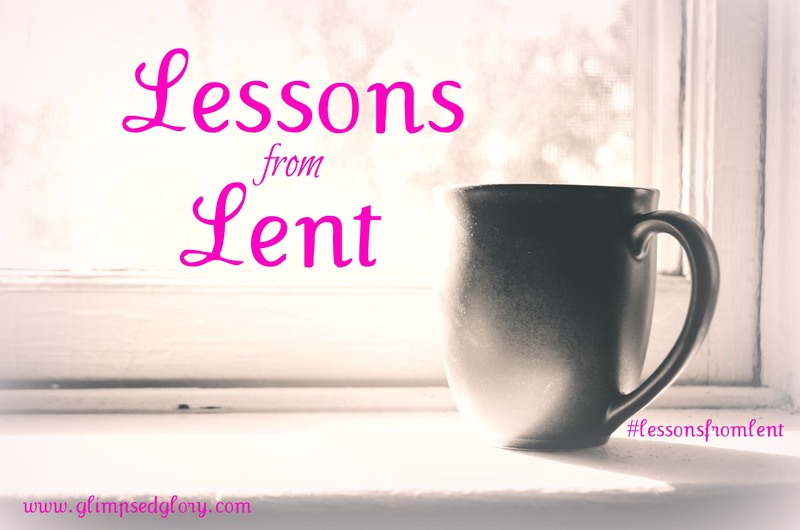 In the next 40 days (20 now because you have already accomplished twenty), the weeks leading up to Easter, the posts on Glimpsed Glory will be different. I am reading through the New Testament during this time and I am hoping the Holy Spirit will lead me to a fresh revelation each and every day. I’m going into it with a prayerful heart and an expectant spirit but I will fully confess to you that my soul feels sluggish. After this [Paul] departed from Athens and went to Corinth. 2 There he met a Jew named Aquila, a native of Pontus, recently arrived from Italy with Priscilla his wife, due to the fact that Claudius had issued an edict that all the Jews were to leave Rome. And [Paul] went to see them, 3 And because he was of the same occupation, he stayed with them; and they worked [together], for they were tentmakers by trade. 4 But he discoursed and argued in the synagogue every Sabbath and won over [both] Jews and Greeks. 5 By the time Silas and Timothy arrived from Macedonia, Paul was completely engrossed with preaching, earnestly arguing and testifying to the Jews that Jesus [is] the Christ. 6 But since they kept opposing and abusing and reviling him, he shook out his clothing [against them] and said to them, Your blood be upon your [own] heads! I am innocent [of it]. From now on I will go to the Gentiles (the heathen). 7 He then left there and went to the house of a man named Titus Justus, who worshiped God and whose house was next door to the synagogue. 8 But Crispus, the leader of the synagogue, believed [that Jesus is the Messiah and acknowledged Him with joyful trust as Savior and Lord], together with his entire household; and many of the Corinthians who listened [to Paul also] believed and were baptized. 9 And one night the Lord said to Paul in a vision, Have no fear, but speak and do not keep silent; 10 For I am with you, and no man shall assault you to harm you, for I have many people in this city. 11 So he settled down among them for a year and six months, teaching the Word of God [concerning the [a]attainment through Christ of eternal salvation in the kingdom of God]. 12 But when Gallio was proconsul of Achaia (most of Greece), the Jews unitedly made an attack upon Paul and brought him before the judge’s seat, 13 Declaring, This fellow is advising and inducing and inciting people to worship God in violation of the [b]Law [of Rome and of Moses]. 14 But when Paul was about to open his mouth to reply, Gallio said to the Jews, If it were a matter of some misdemeanor or villainy, O Jews, I should have cause to bear with you and listen; 15 But since it is merely a question [of doctrine] about words and names and your own law, see to it yourselves; I decline to be a judge of such matters and I have no intention of trying such cases. 16 And he drove them away from the judgment seat. 17 Then they [the Greeks] all seized Sosthenes, the leader of the synagogue, and beat him right in front of the judgment seat. But Gallio paid no attention to any of this. 18 Afterward Paul remained many days longer, and then told the brethren farewell and sailed for Syria; and he was accompanied by Priscilla and Aquila. At Cenchreae he [[c]Paul] cut his hair, for he had made a vow. 19 Then they arrived in Ephesus, and [Paul] left the others there; but he himself entered the synagogue and discoursed and argued with the Jews. 20 When they asked him to remain for a longer time, he would not consent; 21 But when he was leaving them he said, I will return to you if God is willing, and he set sail from Ephesus. 22 When he landed at Caesarea, he went up and saluted the church [at Jerusalem], and then went down to Antioch. 23 After staying there some time, he left and went from place to place in an orderly journey through the territory of Galatia and Phrygia, establishing the disciples and imparting new strength to them. 24 Meanwhile, there was a Jew named Apollos, a native of Alexandria, who came to Ephesus. He was a cultured and eloquent man, well versed and mighty in the Scriptures. 25 He had been instructed in the way of the Lord, and burning with spiritual zeal, he spoke and taught diligently and accurately the things concerning Jesus, though he was acquainted only with the baptism of John. 26 He began to speak freely (fearlessly and boldly) in the synagogue; but when Priscilla and Aquila heard him, they took him with them and expounded to him the way of God more definitely and accurately. 27 And when [Apollos] wished to cross to Achaia (most of Greece), the brethren wrote to the disciples there, urging and encouraging them to accept and welcome him heartily. When he arrived, he proved a great help to those who through grace (God’s unmerited favor and mercy) had believed (adhered to, trusted in, and relied on Christ as Lord and Savior). 28 For with great power he refuted the Jews in public [discussions], showing and proving by the Scriptures that Jesus is the Christ (the Messiah). While Apollos was in Corinth, Paul went through the upper inland districts and came down to Ephesus. There he found some disciples. 2 And he asked them, Did you receive the Holy Spirit when you believed [on Jesus as the Christ]? And they said, No, we have not even heard that there is a Holy Spirit. 3 And he asked, Into what [baptism] then were you baptized? They said, Into John’s baptism. 4 And Paul said, John baptized with the baptism of repentance, continually telling the people that they should believe in the One Who was to come after him, that is, in Jesus [having a conviction full of joyful trust that He is Christ, the Messiah, and being obedient to Him]. 5 On hearing this they were baptized [again, this time] in the name of the Lord Jesus. 6 And as Paul laid his hands upon them, the Holy Spirit came on them; and they spoke in [foreign, unknown] tongues (languages) and prophesied. 7 There were about twelve of them in all. 8 And he went into the synagogue and for three months spoke boldly, persuading and arguing and pleading about the kingdom of God. 9 But when some became more and more stubborn (hardened and unbelieving), discrediting and reviling and speaking evil of the Way [of the Lord] before the congregation, he separated himself from them, taking the disciples with him, and went on holding daily discussions in the lecture room of Tyrannus from about ten o’clock till three. 10 This continued for two years, so that all the inhabitants of [the province of] Asia, Jews as well as Greeks, heard the Word of the Lord [concerning the [a]attainment through Christ of eternal salvation in the kingdom of God]. 11 And God did unusual and extraordinary miracles by the hands of Paul, 12 So that handkerchiefs or towels or aprons which had touched his skin were carried away and put upon the sick, and their diseases left them and the evil spirits came out of them. 13 Then some of the traveling Jewish exorcists (men who adjure evil spirits) also undertook to call the name of the Lord Jesus over those who had evil spirits, saying, I solemnly implore and charge you by the Jesus Whom Paul preaches! 14 Seven sons of a certain Jewish chief priest named Sceva were doing this. 15 But [one] evil spirit retorted, Jesus I know, and Paul I know [b]about, but who are you? 16 Then the man in whom the evil spirit dwelt leaped upon them, mastering [c]two of them, and was so violent against them that they dashed out of that house [in fear], stripped naked and wounded. 17 This became known to all who lived in Ephesus, both Jews and Greeks, and alarm and terror fell upon them all; and the name of the Lord Jesus was extolled and magnified. 18 Many also of those who were now believers came making [d]full confession and thoroughly exposing their [former deceptive and evil] practices. 19 And many of those who had practiced curious, magical arts collected their books and [throwing them, [e]book after book, on the pile] burned them in the sight of everybody. When they counted the value of them, they found it amounted to 50,000 pieces of silver ([f]about $9,300). 20 Thus the Word of the Lord [concerning the [g]attainment through Christ of eternal salvation in the kingdom of God] grew and spread and intensified, prevailing mightily. 21 Now after these events Paul determined in the [Holy] Spirit that he would travel through Macedonia and Achaia (most of Greece) and go to Jerusalem, saying, After I have been there, I must visit Rome also. 22 And having sent two of his assistants, Timothy and Erastus, into Macedonia, he himself stayed on in [the province of] Asia for a while. 23 But as time went on, there arose no little disturbance concerning the Way [of the Lord]. 24 For a man named Demetrius, a silversmith, who made silver shrines of [the goddess] Artemis [h][Diana], brought no small income to his craftsmen. 25 These he called together, along with the workmen of similar trades, and said, Men, you are acquainted with the facts and understand that from this business we derive our wealth and livelihood. 26 Now you notice and hear that not only at Ephesus but almost all over [the province of] Asia this Paul has persuaded and induced people to believe his teaching and has alienated a considerable company of them, saying that gods that are made with human hands are not really gods at all. 27 Now there is danger not merely that this trade of ours may be discredited, but also that the temple of the great goddess Artemis may come into disrepute and count for nothing, and that her glorious magnificence may be degraded and fall into contempt—she whom all [the province of] Asia and the wide world worship. 28 As they listened to this, they were filled with rage and they continued to shout, Great is Artemis of the Ephesians! 29 Then the city was filled with confusion; and they rushed together into the amphitheater, dragging along with them Gaius and Aristarchus, Macedonians who were fellow travelers with Paul. 30 Paul wished to go in among the crowd, but the disciples would not permit him to do it. 31 Even some of the Asiarchs (political or religious officials in Asia) who were his friends also sent to him and warned him not to risk venturing into the theater. 34 But as soon as they saw him and recognized that he was a Jew, a shout went up from them as the voice of one man, as for about two hours they cried, Great is Artemis of the Ephesians! 35 And when the town clerk had calmed the crowd down, he said, Men of Ephesus, what man is there who does not know that the city of the Ephesians is guardian of the temple of the great Artemis and of the sacred stone [image of her] that fell from the sky? 36 Seeing then that these things cannot be denied, you ought to be quiet (keep yourselves in check) and do nothing rashly. 37 For you have brought these men here, who are [guilty of] neither temple robberies nor blasphemous speech about our goddess. 38 Now then, if Demetrius and his fellow tradesmen who are with him have a grievance against anyone, the courts are open and proconsuls are [available]; let them bring charges against one another [legally]. 39 But if you require anything further about this or about other matters, it must be decided and cleared up in the regular assembly. 40 For we are in danger of being called to render an account and of being accused of rioting because of [this commotion] today, there being no reason that we can offer to justify this disorder. 41 And when he had said these things, he dismissed the assembly. After the uproar had ceased, Paul sent for the disciples and warned and consoled and urged and encouraged them; then he embraced them and told them farewell and set forth on his journey to Macedonia. 2 Then after he had gone through those districts and had warned and consoled and urged and encouraged the brethren with much discourse, he came to Greece. 3 Having spent three months there, when a plot was formed against him by the Jews as he was about to set sail for Syria, he resolved to go back through Macedonia. 4 He was accompanied by Sopater the son of Pyrrhus from Beroea, and by the Thessalonians Aristarchus and Secundus, and Gaius of Derbe and Timothy, and the Asians Tychicus and Trophimus. 5 These went on ahead and were waiting for us [including Luke] at Troas, 6 But we [ourselves] sailed from Philippi after the days of Unleavened Bread [the Passover week], and in five days we joined them at Troas, where we remained for seven days. 7 And on the first day of the week, when we were assembled together to break bread [[a]the Lord’s Supper], Paul discoursed with them, intending to leave the next morning; and he kept on with his message until midnight. 8 Now there were numerous lights in the upper room where we were assembled, 9 And there was a young man named Eutychus sitting in the window. He was borne down with deep sleep as Paul kept on talking still longer, and [finally] completely overcome by sleep, he fell down from the third story and was picked up dead. 10 But Paul went down and bent over him and embraced him, saying, Make no ado; his life is within him. 11 When Paul had gone back upstairs and had broken bread and eaten [with them], and after he had talked confidentially and communed with them for a considerable time—until daybreak [in fact]—he departed. 12 They took the youth home alive, and were not a little comforted and cheered and refreshed and encouraged. 13 But going on ahead to the ship, the rest of us set sail for Assos, intending to take Paul aboard there, for that was what he had directed, intending himself to go by land [on foot]. 14 So when he met us at Assos, we took him aboard and sailed on to Mitylene. 15 And sailing from there, we arrived the day after at a point opposite Chios; the following day we struck across to Samos, and the next day we arrived at Miletus. 16 For Paul had determined to sail on past Ephesus, lest he might have to spend time [unnecessarily] in [the province of] Asia; for he was hastening on so that he might reach Jerusalem, if at all possible, by the day of Pentecost. 17 However, from Miletus he sent to Ephesus and summoned the elders of the church [to come to him there]. 18 And when they arrived he said to them: You yourselves are well acquainted with my manner of living among you from the first day that I set foot in [the province of] Asia, and how I continued afterward, 19 Serving the Lord with all humility in tears and in the midst of adversity (affliction and trials) which befell me, due to the plots of the Jews [against me]; 20 How I did not shrink from telling you anything that was for your benefit and teaching you in public meetings and from house to house, 21 But constantly and earnestly I bore testimony both to Jews and Greeks, urging them to turn in repentance [[b]that is due] to God and to have faith in our Lord Jesus Christ [[c]that is due Him]. 22 And now, you see, I am going to Jerusalem, bound by the [Holy] Spirit and obligated and compelled by the [convictions of my own] spirit, not knowing what will befall me there— 23 Except that the Holy Spirit clearly and emphatically affirms to me in city after city that imprisonment and suffering await me. 24 But none of these things move me; neither do I esteem my life dear to myself, if only I may finish my course with joy and the ministry which I have obtained from [which was entrusted to me by] the Lord Jesus, faithfully to attest to the good news (Gospel) of God’s grace (His unmerited favor, spiritual blessing, and mercy). 25 And now, observe, I perceive that all of you, among whom I have gone in and out proclaiming the kingdom, will see my face no more. 26 Therefore I testify and protest to you on this [our parting] day that I am clean and innocent and not responsible for the blood of any of you. 27 For I never shrank or kept back or fell short from declaring to you the whole purpose and plan and counsel of God. 28 Take care and be on guard for yourselves and the whole flock over which the Holy Spirit has appointed you bishops and guardians, to shepherd (tend and feed and guide) the church of the Lord or [d]of God which He obtained for Himself [buying it and saving it for Himself] with His own blood. 29 I know that after I am gone, ferocious wolves will get in among you, not sparing the flock; 30 Even from among your own selves men will come to the front who, by saying perverse (distorted and corrupt) things, will endeavor to draw away the disciples after them [to their own party]. 31 Therefore be always alert and on your guard, being mindful that for three years I never stopped night or day seriously to admonish and advise and exhort you one by one with tears. 32 And now [brethren], I commit you to God [I deposit you in His charge, entrusting you to His protection and care]. And I commend you to the Word of His grace [to the commands and counsels and promises of His unmerited favor]. It is able to build you up and to give you [your rightful] inheritance among all God’s set-apart ones (those consecrated, purified, and transformed of soul). 33 I coveted no man’s silver or gold or [costly] garments. 34 You yourselves know personally that these hands ministered to my own needs and those [of the persons] who were with me. 35 In everything I have pointed out to you [by example] that, by working diligently in this manner, we ought to assist the weak, being mindful of the words of the Lord Jesus, how He Himself said, It is more blessed (makes one happier and more [e]to be envied) to give than to receive. 36 Having spoken thus, he knelt down with them all and prayed. 37 And they all wept freely and threw their arms around Paul’s neck and kissed him fervently and repeatedly, 38 Being especially distressed and sorrowful because he had stated that they were about to see his face no more. And they accompanied him to the ship. And when we had torn ourselves away from them and withdrawn, we set sail and made a straight run to Cos, and on the following [day came] to Rhodes and from there to Patara. 2 There we found a ship crossing over to Phoenicia; so we went aboard and sailed away. 3 After we had sighted Cyprus, leaving it on our left we sailed on to Syria and put in at Tyre, for there the ship was to unload her cargo. 4 And having looked up the disciples there, we remained with them for seven days. Prompted by the [Holy] Spirit, they kept telling Paul not to set foot in Jerusalem. 5 But when our time there was ended, we left and proceeded on our journey; and all of them with their wives and children accompanied us on our way till we were outside the city. There we knelt down on the beach and prayed. 6 Then when we had told one another farewell, we went on board the ship, and they returned to their own homes. 7 When we had completed the voyage from Tyre, we landed at Ptolemais, where we paid our respects to the brethren and remained with them for one day. 8 On the morrow we left there and came to Caesarea; and we went into the house of Philip the evangelist, who was one of the Seven [first deacons], and stayed with him. 9 And he had four maiden daughters who had the gift of prophecy. 10 While we were remaining there for some time, a prophet named Agabus came down from Judea. 11 And coming to [see] us, he took Paul’s belt and with it bound his own feet and hands and said, Thus says the Holy Spirit: The Jews at Jerusalem shall bind like this the man who owns this belt, and they shall deliver him into the hands of the Gentiles (heathen). 12 When we heard this, both we and the residents of that place pleaded with him not to go up to Jerusalem. 13 Then Paul replied, What do you mean by weeping and breaking my heart like this? For I hold myself in readiness not only to be arrested and bound and imprisoned at Jerusalem, but also [even] to die for the name of the Lord Jesus. 14 And when he would not yield to [our] persuading, we stopped [urging and imploring him], saying, The Lord’s will be done! 15 After these days we packed our baggage and went up to Jerusalem. 16 And some of the disciples from Caesarea came with us, conducting us to the house of Mnason, a man from Cyprus, one of the disciples of long standing, with whom we were to lodge. 17 When we arrived in Jerusalem, the brethren received and welcomed us gladly. 18 On the next day Paul went in with us to [see] James, and all the elders of the church were present [also]. 19 After saluting them, Paul gave a detailed account of the things God had done among the Gentiles through his ministry. 20 And upon hearing it, they adored and exalted and praised and thanked God. And they said to [Paul], You see, brother, how many thousands of believers there are among the Jews, and all of them are enthusiastic upholders of the [Mosaic] Law. 21 Now they have been informed about you that you continually teach all the Jews who live among the Gentiles to turn back from and forsake Moses, advising them not to circumcise their children or pay any attention to the observance of the [Mosaic] customs. 22 What then [is best that] should be done? A multitude will come together, for they will surely hear that you have arrived. 23 Therefore do just what we tell you. With us are four men who have taken a vow upon themselves. 24 Take these men and purify yourself along with them and pay their expenses [for the temple offering], so that they may have their heads shaved. Thus everybody will know that there is no truth in what they have been told about you, but that you yourself walk in observance of the Law. 25 But with regard to the Gentiles who have believed (adhered to, trusted in, and relied on Christ), we have sent them a letter with our decision that they should keep themselves free from anything that has been sacrificed to idols and from [tasting] blood and [eating the meat of animals] which have been strangled and from all impurity and sexual immorality. 26 Then Paul took the [four] men with him and the following day [he went through the rites of] purifying himself along with them. And they entered the temple to give notice when the days of purification (the ending of each vow) would be fulfilled and the usual offering could be presented on behalf of each of them. 27 When the seven days were drawing to a close, some of the Jews from [the province of] Asia, who had caught sight of Paul in the temple, incited all the rabble and laid hands on him, 28 Shouting, Men of Israel, help! [Help!] This is the man who is teaching everybody everywhere against the people and the Law and this place! Moreover, he has also [actually] brought Greeks into the temple; he has desecrated and polluted this holy place! 29 For they had previously seen Trophimus the Ephesian in the city with Paul and they supposed that he had brought the man into the temple [into the inner court forbidden to Gentiles]. 30 Then the whole city was aroused and thrown into confusion, and the people rushed together; they laid hands on Paul and dragged him outside the temple, and immediately the gates were closed. 31 Now while they were trying to kill him, word came to the commandant of the regular Roman garrison that the whole of Jerusalem was in a state of ferment. 32 So immediately he took soldiers and centurions and hurried down among them; and when the people saw the commandant and the troops, they stopped beating Paul. Brethren and fathers, listen to the defense which I now make in your presence. 2 And when they heard that he addressed them in the Hebrew tongue, they were all the more quiet. And he continued, 3 I am a Jew, born in Tarsus of Cilicia but reared in this city. At the feet of Gamaliel I was educated according to the strictest care in the Law of our fathers, being ardent [even a zealot] for God, as all of you are today. 4 [Yes] I harassed (troubled, molested, and persecuted) this Way [of the Lord] to the death, putting in chains and committing to prison both men and women, 5 As the high priest and whole council of elders (Sanhedrin) can testify; for from them indeed I received letters with which I was on my way to the brethren in Damascus in order to take also those [believers] who were there, and bring them in chains to Jerusalem that they might be punished. 6 But as I was on my journey and approached Damascus, about noon a great blaze of light flashed suddenly from heaven and shone about me. 7 And I fell to the ground and heard a voice saying to me, Saul, Saul, why do you persecute Me [harass and trouble and molest Me]? 8 And I replied, Who are You, Lord? And He said to me, I am Jesus the Nazarene, Whom you are persecuting. 9 Now the men who were with me saw the light, but they did not hear [[a]the sound of the uttered words of] the voice of the One Who was speaking to me [so that they could [b]understand it]. 10 And I asked, What shall I do, Lord? And the Lord answered me, Get up and go into Damascus, and there it will be told you all that it is destined and appointed for you to do. 11 And since I could not see because [of the dazzlingly glorious intensity] of the brightness of that light, I was led by the hand by those who were with me, and [thus] I arrived in Damascus. 12 And one Ananias, a devout man according to the Law, well spoken of by all the Jews who resided there, 13 Came to see me, and standing by my side said to me, Brother Saul, [c]look up and receive back your sight. And in that very [d]instant I [recovered my sight and] looking up saw him. 14 And he said, The God of our forefathers has destined and appointed you to come progressively to know His will [to perceive, to recognize more strongly and clearly, and to become better and more intimately acquainted with His will], and to see the Righteous One (Jesus Christ, the Messiah), and to hear a voice from His [own] mouth and a message from His [own] lips; 15 For you will be His witness unto all men of everything that you have seen and heard. 16 And now, why do you delay? Rise and be baptized, and [e]by calling upon His name, wash away your sins. 17 Then when I had come back to Jerusalem and was praying in the temple [[f]enclosure], I fell into a trance (an ecstasy); 18 And I saw Him as He said to me, Hurry, get quickly out of Jerusalem, because they will not receive your testimony about Me. 19 And I said, Lord, they themselves well know that throughout all the synagogues I cast into prison and flogged those who believed on (adhered to and trusted in and relied on) You. 20 And when the blood of Your witness (martyr) Stephen was shed, I also was personally standing by and consenting and approving and guarding the garments of those who slew him. 21 And the Lord said to me, Go, for I will send you far away unto the Gentiles (nations). 22 Up to the moment that Paul made this last statement, the people listened to him; but now they raised their voices and shouted, Away with such a fellow from the earth! He is not fit to live! 23 And as they were shouting and tossing and waving their garments and throwing dust into the air, 24 The commandant ordered that Paul be brought into the barracks, and that he be examined by scourging in order that [the commandant] might learn why the people cried out thus against him. 25 But when they had stretched him out with the thongs (leather straps), Paul asked the centurion who was standing by, Is it legal for you to flog a man who is a Roman citizen and uncondemned [without a trial]? 26 When the centurion heard that, he went to the commandant and said to him, What are you about to do? This man is a Roman citizen! 27 So the commandant came and said to [Paul], Tell me, are you a Roman citizen? And he said, Yes [indeed]! 28 The commandant replied, I purchased this citizenship [as a capital investment] for a big price. Paul said, But I was born [Roman]! 29 Instantly those who were about to examine and flog him withdrew from him; and the commandant also was frightened, for he realized that [Paul] was a Roman citizen and he had put him in chains. 30 But the next day, desiring to know the real cause for which the Jews accused him, he unbound him and ordered the chief priests and all the council (Sanhedrin) to assemble; and he brought Paul down and placed him before them. Then Paul, gazing earnestly at the council (Sanhedrin), said, Brethren, I have lived before God, doing my duty with a perfectly good conscience until this very day [[a]as a citizen, a true and loyal Jew]. 2 At this the high priest Ananias ordered those who stood near him to strike him on the mouth. 3 Then Paul said to him, God is about to strike you, you whitewashed wall! Do you sit as a judge to try me in accordance with the Law, and yet in defiance of the Law you order me to be struck? 4 Those who stood near exclaimed, Do you rail at and insult the high priest of God? 5 And Paul said, I was not conscious, brethren, that he was a high priest; for the Scripture says, You shall not speak ill of a ruler of your people. 6 But Paul, when he perceived that one part of them were Sadducees and the other part Pharisees, cried out to the council (Sanhedrin), Brethren, I am a Pharisee, a son of Pharisees; it is with regard to the hope and the resurrection of the dead that I am indicted and being judged. 7 So when he had said this, an angry dispute arose between the Pharisees and the Sadducees; and the whole [crowded] assemblage was divided [into two factions]. 8 For the Sadducees hold that there is no resurrection, nor angel nor spirit, but the Pharisees declare openly and speak out freely, acknowledging [their belief in] them both. 9 Then a great uproar ensued, and some of the scribes of the Pharisees’ party stood up and thoroughly fought the case, [contending fiercely] and declaring, We find nothing evil or wrong in this man. But if a spirit or an angel [really] spoke to him—? Let us not fight against God! 10 And when the strife became more and more tense and violent, the commandant, fearing that Paul would be torn in pieces by them, ordered the troops to go down and take him forcibly from among them and conduct him back into the barracks. 11 And [that same] following night the Lord stood beside Paul and said, Take courage, Paul, for as you have borne faithful witness concerning Me at Jerusalem, so you must also bear witness at Rome. 12 Now when daylight came, the Jews formed a plot and bound themselves by an oath and under a curse neither to eat nor drink till they had done away with Paul. 13 There were more than forty [men of them], who formed this conspiracy [swearing together this oath and curse]. 14 And they went to the chief priests and elders, saying, We have strictly bound ourselves by an oath and under a curse not to taste any food until we have slain Paul. 15 So now you, along with the council (Sanhedrin), give notice to the commandant to bring [Paul] down to you, as if you were going to investigate his case more accurately. But we [ourselves] are ready to slay him before he comes near. 16 But the son of Paul’s sister heard of their intended attack, and he went and got into the barracks and told Paul. 17 Then Paul, calling in one of the centurions, said, Take this young man to the commandant, for he has something to report to him. 18 So he took him and conducted him to the commandant and said, Paul the prisoner called me to him and requested me to conduct this young man to you, for he has something to report to you. 19 The commandant took him by the hand, and going aside with him, asked privately, What is it that you have to report to me? 20 And he replied, The Jews have agreed to ask you to bring Paul down to the council (Sanhedrin) tomorrow, as if [they were] intending to examine him more exactly. 21 But do not yield to their persuasion, for more than forty of their men are lying in ambush waiting for him, having bound themselves by an oath and under a curse neither to eat nor drink till they have killed him; and even now they are all ready, [just] waiting for your promise. 22 So the commandant sent the youth away, charging him, Do not disclose to anyone that you have given me this information. 23 Then summoning two of the centurions, he said, Have two hundred footmen ready by the third hour of the night (about 9:00 p.m.) to go as far as Caesarea, with seventy horsemen and two hundred spearmen. 24 Also provide beasts for mounts for Paul to ride, and bring him in safety to Felix the governor. 25 And he wrote a letter having this message: 26 Claudius Lysias sends greetings to His Excellency Felix the governor. 27 This man was seized [as prisoner] by the Jews, and was about to be killed by them when I came upon them with the troops and rescued him, because I learned that he is a Roman citizen. 28 And wishing to know the exact accusation which they were making against him, I brought him down before their council (Sanhedrin), 29 [Where] I found that he was charged in regard to questions of their own law, but he was accused of nothing that would call for death or [even] for imprisonment. 30 [However] when it was pointed out to me that there would be a conspiracy against the man, I sent him to you immediately, directing his accusers also to present before you their charge against him. 31 So the soldiers, in compliance with their instructions, took Paul and conducted him during the night to Antipatris. 32 And the next day they returned to the barracks, leaving the mounted men to proceed with him. 33 When these came to Caesarea and gave the letter to the governor, they also presented Paul before him. 34 Having read the letter, he asked to what province [Paul] belonged. When he discovered that he was from Cilicia [an imperial province], 35 He said, I will hear your case [b]fully when your accusers also have come. And he ordered that an eye be kept on him in Herod’s palace (the Praetorium). I most often read the Scriptures aloud. I love having the word of God reach my eyes, flow through my mouth, enter my ears and land firmly on my heart. And I pray as I’m reading to know what Job meant when he said, “O Lord, my ears had heard of You but now my eyes have seen!” I anticipate the day, and I believe it will come because God promises to be found by His children, when I am so in tune with the Spirit that I know without a doubt where He wants me to go, when He wants me to stay, and who He wants me to tell about Jesus. Several times reading these chapters from Acts, I felt my heart start to race and my voice take on an urgency that I want to live out in my own life. I don’t want to float through my time here as if I have no purpose. 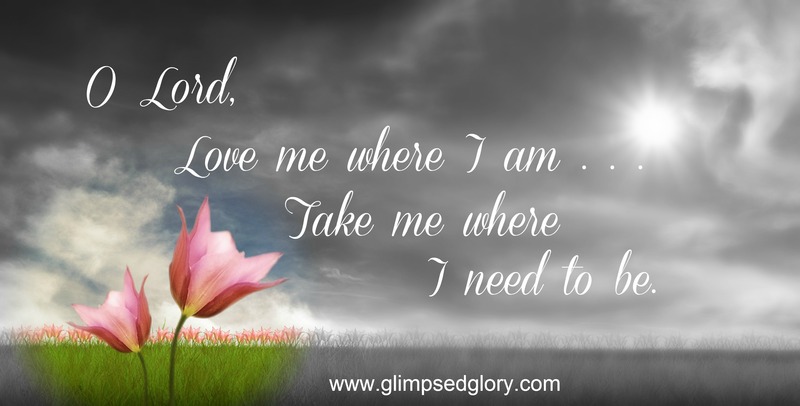 I want to live, move, and find my being in Him . . .intentionally. Don’t you? Do you see the wild ride that Paul experienced with His Savior? Do you see how intentional he was about listening to the Holy Spirit? Paul wanted to go here, but the Holy Spirit sent him there. Paul didn’t want to enter this city or that village, but the Spirit commissioned him to go. And you know what strikes me? Not one time did Paul argue. Paul just did. Paul never says, “Well, I have friends there so I’m just going to make a quick detour.” He never tells the Spirit, “I’ll go to that village, after I’ve rested in this town a few days.” No, Paul listened, Paul heard, Paul obeyed . . .Paul did. It’s the same way throughout the Old Testament. We look at servants that we might consider to be giants of the faith and . . . they just did. God commanded Noah to build an ark . . . it had never been done, but Noah didn’t argue. Noah did . . .
God told Abraham to leave his country, to leave his people, and to go to a place He would show him. No protests were made by Abraham, He packed up and left. Abraham did . . . The entire tribe of Levi, faced with the task of carrying out the justice of God by the sword, did not debate the decision, did not negotiate the consequence—the Levites did . . .
What about in the New Testament, on our side of the Covenant Line, do we find anyone before Paul who just did? Christ tells Simon and Andrew, “Come follow me” and—the fishermen did . . .
Jesus said to Matthew, “Be My disciple”—the tax collector did . . . The ones we might hold up as faithful servants, actively and mightily carrying out the good works set apart for them to do . . .well, Sister I have to wonder if the most spectacular thing about them was . . . they just did. Maybe if I’m wanting to be called to serve in the Kingdom of God, I have to be willing to just do. . . and maybe the same is true for you. No hand wave with a “wait one minute” God. Delayed obedience is disobedience and I can guarantee you that no matter how I might suggest to God that He do it differently, my plan will never be better than His. Now that’s not to say that if I try and get God to go another direction He might not let me go. I firmly believe that if I am too stubborn of heart to go the direction He wants me to travel that He’ll let me find out what sits on the other side of the “do not enter—wrong way” sign. Hopefully, I won’t have to face too much oncoming traffic or bottom out in too many potholes before I turn around. See God’s always going to get things done. He does not need us to accomplish His purposes. But He wants to bless us by allowing us to work with our hearts all caught up in Him to get the thing done. He’ll decide what needs to be done and we’ll do. . . and God is not changed, altered, or benefitted in any way. We are! We’ll get the reward, the jewel in that big, beautiful tiara Christ will crown us with! We fool ourselves sometimes in thinking that the times “we do” somehow benefit God. We slide into believing on occasion that we are doing the Messiah a favor by “being holy’ because He is holy. God is full perfection, Jesus doesn’t need a thing, the Spirit is in want of nothing. . .but O Girlfriend . . . how they love to bless! Noah did . . .His entire family was saved. He saw the first rainbow. He heard the Voice of God! Abram did . . .He became the Father of the Promise. Birthed a nation. He saw the Fire of God! The Levites did . . . They became priests. Received God as their Portion. Made their home with Him! Are you seeing the pattern? All the blessing belongs to us. Recall what you know about the life of Simon, renamed Peter, who received the blessing? Jesus, on the night Peter denied Him? No, the blessing belongs to Peter. What of Matthew? What of Andrew? Philip? Nathaniel? Different name . . . same outcome. Blessing! Blessing! Blessing! And why should we be surprised, the very first thing that fell on human ears was His Blessing! Why would we want to negotiate with a God like that? Why would we not simply trust and “do”? And the blessing will be ours when we are face-to-face with Grace, . 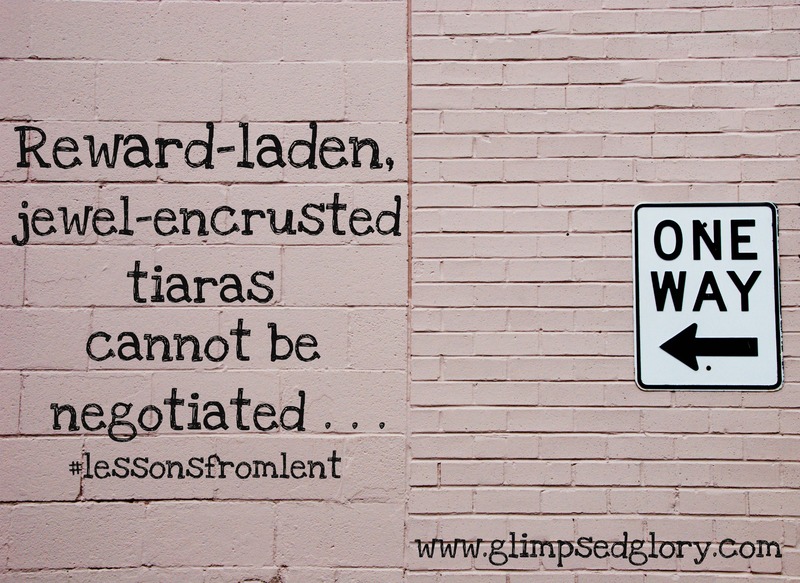 . .
our reward-laden, jewel-encrusted, tiaras shining bright . . .
What an excellent lesson in doing!! How often I like to delay not just the little things in life that it seeps into my spiritual life. I pray that i might join you in being an immediate doer of His prompting! !